Others, like the online retail behemoth Amazon, see the technology as way to rapidly deliver the goods to millions of customers. In truth, the potential applications are almost limitless. Drones are commonly used in law enforcement, scientific research, search and rescue, crop spraying and a host of other fields. A province in China is now deploying drone “quadcopters” to bust students who try to cheat on the country’s notoriously gruelling college entrance exam. But drone technology also has the capacity to revolutionise the way journalists do their work – if civilian authorities give the green light, which is far from certain. “Journalists around the world, from South America to the Middle East and beyond, all see the advantages of this technology and want to use it immediately,” says Professor Matt Waite of the Drone Journalism Lab at the University of Nebraska-Lincoln’s College of Journalism and Mass Communications. Waite noted that countries with a less than free press have quickly banned the devices shortly after someone uses them, particularly if they show something the government doesn’t want the public to see. Or, instead of coming up with rules to govern conduct or application, the government simply bans the devices. Drones Provoke Growing Controversy in U.S.
“Nepal is a perfect example,” he says. “The terrible earthquakes happened there, did massive damage and the world’s attention turned to Nepal. With it came hordes of international journalists, many of whom brought small drone platforms with them. Within a week, the government of Nepal banned drones. “More specifically, it required government permission to fly them, and I’ve tried several times to get the requirements from the Nepalese civil aviation authority and have been ignored. Were there people flying drones in Nepal? Absolutely, from journalists to NGOs to private citizens. Were some people behaving badly and flying in places and in ways they shouldn’t have? Yes. A drone, also known as an unmanned aerial vehicle (UAV), is simply an aircraft without a human pilot aboard, operated either by an onboard computer or remotely by a person. They can carry cameras and other data-gathering devices, and have already been used to report news stories ranging from fires to London’s Crossrail project. 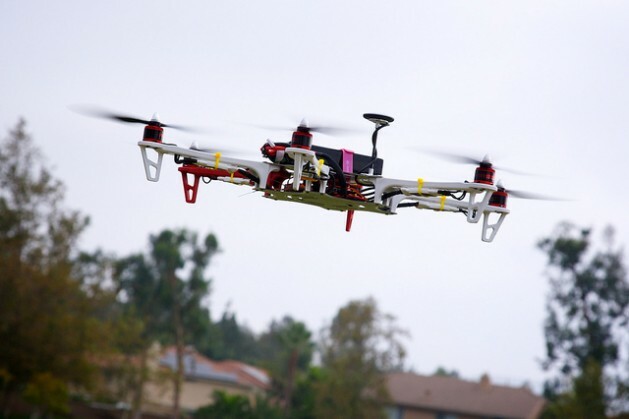 In the United States, the Federal Aviation Administration (FAA), which regulates the country’s airspace, has yet to establish rules for integrating drones into the National Airspace System (NAS), though Congress has called for the FAA to establish such regulations by this year. In May 2014, more than a dozen media organisations challenged the government’s ban on the use of drones by journalists, saying the FAA’s position violates First Amendment protections for news gathering. However, legislation on commercial unmanned aviation, including for use by journalists, remains at a standstill. “Unfortunately, I think this is going to be emblematic of the next five years — governments are going to struggle to regulate the devices and their use is going to swing on a pendulum between use and restrictions,” Waite says. Waite does predict progress on the issue over the longer term, noting that in a decade or so, the technology will be so prevalent that all countries will be forced to have rules. “Journalists around the world will find the rules will allow them to fly their cameras into the sky and we’ll see this tool come into its full potential,” he says. Matthew Schroyer of the Professional Society of Drone Journalists, which advocates for the ethical and responsible use of drone technology, says he sees two similar trends playing out in the next five to 10 years. “One is that the barrier for entry is continuing to fall, not just thanks to the decreasing cost of the technology, but also because manufacturers are realising that drones can be more successful when they are easier to operate,” he tells IPS. He sees drone technology as having the potential to vastly enhance the investigative news-gathering process, particularly as the world grapples with a host of interlocking problems like climate change and sustainability. “Another trend is seeing the drone not just as an eye in the sky for citizens and journalists, but as a means to collect all manner of geospatial data. Cameras are just one many types of sensors that drones can carry, and other types of sensors can detect things like plant photosynthesis, water quality, various chemicals, and other useful information that we can’t see with our own eyes,” Schroyer says. But it all comes with a giant “if,” he cautions. Good story. It is interesting that the United States, ” home of the free” still hasn’t found a way, after a decade, to allow drone journalism. It also looks as if that patchwork of rules will exist here, state by state, as it will worldwide, country by country.